Sgt. 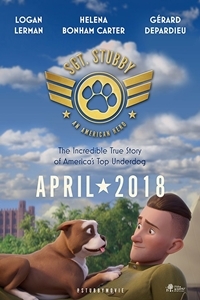 Stubby : An American Hero 2 hr. 10 min. The incredible true story of a stray dog who became a hero of the First World War. For his keen instincts and fierce loyalty, Stubby is still recognized today as the most decorated canine in American history and the first promoted to the rank of Sergeant in the U.S. Army. Running Time: 1 hr. 25 min.